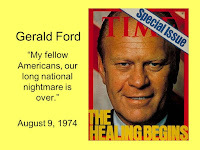 “Our long national nightmare is over” said President Gerald Ford during his Inaugural Address on August 9, 1974 right after President Richard Nixon resigned because of Watergate. 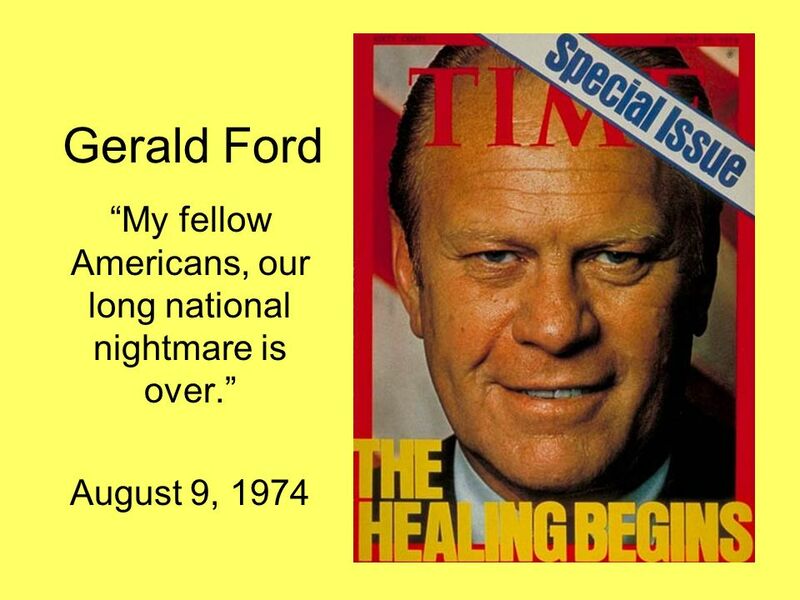 Little did President Ford know there would be at least 3 other big “national nightmares” to follow. Watergate set the bar for every independent counsel investigation of a sitting president. After all, investigative journalism prevailed and a crooked president left office. 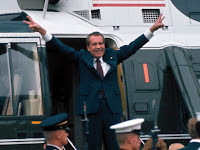 Since Watergate, however, partisans who lost the last presidential election have sought to use the brass knuckles of independent counsel statutes as “long national nightmares” hopefully to force a sitting President of the other party to resign in shame just like Nixon did. Democrats really hoped the Walsh Report on Iran-Contra would force President Reagan to resign. Republicans so desperately wanted to force President Bill Clinton out of the White House they passed articles of impeachment based on the Starr Report which focused on the Monica Lewinsky affair, not on any reasonable definition of “treason” or even “high crimes and misdemeanors” such as colluding with a foreign power by selling secret nuclear war plans to Russia or China or something else of that particular order and magnitude. Hillary Clinton told her advisors on election night to spin her loss on “Russian Collusion” and the willing media complied. 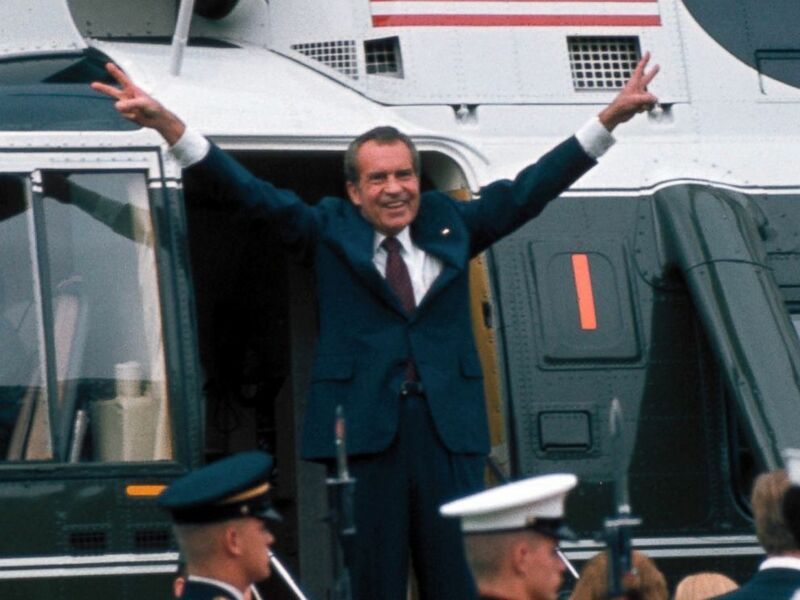 Democrats have hoped and prayed ever since that the Mueller Report would force Donald Trump to do the perp walk out of the White House into the Rose Garden in an orange jumpsuit and handcuffs with full media coverage. Using the power of the independent counsel statutes is no way to adjudicate national presidential elections. Special prosecutors have devolved into political hammers in search of a nail. 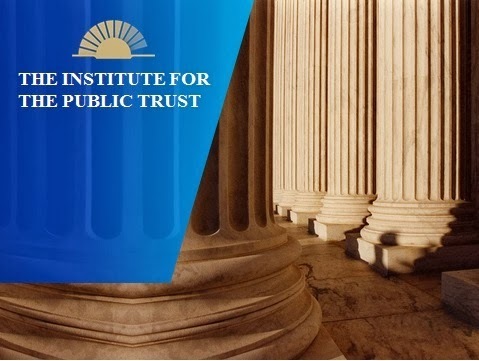 There have been 29 special prosecutors or “independent counsels” appointed since the founding of the American Democratic Republic. Six occurred in the 184 years before Watergate in 1973. Since Watergate, we have had 21 special prosecutor investigations. Bill Clinton was the target of 12 special counsels all by himself. Watergate turned out to be a legitimate investigation that uncovered grave constitutional issues at hand. A sitting President sought to use the power of our government to cover-up his role in the burglary of the headquarters of his political opposition in the previous campaign. If you are a Democrat who is truly objective and 100% concerned about the abuse of power by any sitting President, you should demand that a special prosecutor now be named to look into the role of the Obama Administration and senior federal law enforcement officials starting Election night, November 2016. If there was any coordinated effort between the Obama White House, the Hillary Clinton campaign, CIA Director John Brennan, NSA Director James Clapper, FBI Director James Comey and functionaries such as Peter Strzok to prevent the peaceful transition of power from President Obama to President Trump after he duly won, then we have a massive constitutional crisis that out-paces Watergate by a factor of 100. No Democrat is asking for such an investigation. They are not interested in “good government” when it comes to President Trump. They just want to keep their base core partisan supporters engaged and enraged so they will vote against Republicans in 2020. The Founders had a brilliant idea for dealing with malefactors in office: elections. If you don’t like the occupant of the White House, you have 4 years to plot, plan and scheme to defeat him at the only place we should be talking about, the ballot box. Not the court system. Not in Congress. Not with a special prosecutor. Perhaps this will be the fourth and last “long national nightmare” we will see in our lifetimes. It is time to put the independent counsel option to rest forever. When Your Opposition Is In The Process of Destroying Themselves…. There may still be a few Democrats left who believe they are part of the Old Democratic Party of JFK, RFK and Henry “Scoop” Jackson. They might want to stop watching the news then. The daily news coming out of Washington, DC is saturated with the latest pronouncement from freshman Representative Alexandria Ocasio-Cortez about how to turn the United States of America into the Socialist State of America. Freshman Minnesota Representative Ilhan Omar regularly spews out blatantly anti-Semitic remarks about Jews and Israel. 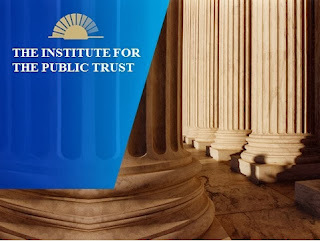 Erstwhile Democratic-presidential-candidate-but-you-know-he-really-is-a-Socialist Senator Bernie Sanders keeps pushing for another new impossible-to-pay-for-program he wants the government, meaning you, the American taxpayer, to pay for. 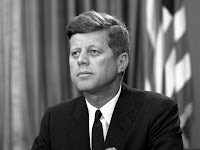 If you think JFK, his brother Robert Kennedy or defense hawk Senator Jackson of the state of Washington would be a proud Democrat today, you would be wrong. None of them would be a card-carrying member of the Democratic Party much less ever be a nominee for any high political office. The Democratic Party of the 1960s through the 90s was based on the solid pillars of anti-communism, free enterprise, capitalism and civil rights. 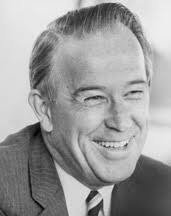 They favored legislation aimed at helping the average working American, the elderly and the poor while they stood up to the Cold War Soviet threat in Eastern Europe and communism around the world. These young socialist Democratic leaders of today and tomorrow want the $44 trillion Green New Deal; the $33 trillion Medicare for All deal, cancellation of $1.56 trillion in student loan debt before offering free college education to everyone and open borders with no immigration rules whatsoever. Presidential candidate Senator Cory Booker wants everyone to become vegan instead of meat-eaters for the sake of the environment. 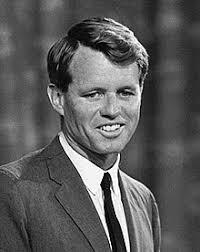 There is no room at the inn for old-line Southern Democrats, JFK or RFK Democrats or even modern-era Blue Dog Democrats. “When the opposition is in the process of fighting and destroying each other….let them”. The biggest problem partisans have when they see the other side fighting among themselves is keeping their mouths shut. Inevitably, when they do enter the fray, they say something impertinent, intemperate or just plain wrong which brings public attention back to their party and their inherent fractious battles and the media loses its focus reporting on the damage being done on the other side. The Prussian military strategist Clausewitz wrote often about sowing confusion in the mind of the enemy and taking concentrated specific action to capitalize on that confusion. When the army of Judah under King Jehoshaphat started singing, the Ammonite and Moabite troops were so confused they attacked and completely destroyed the troops from Edom. Then they turned against each other and destroyed themselves. The worst thing any Republican can do right now is divert attention from the dissolution of the modern Democratic Party as it has been known for the past 50 years with an inopportune comment. Let the Democratic Party become the party of socialism; anti-Semitism, infanticide, anti-capitalism, mandatory gun buybacks and confiscation, less personal freedom and much higher taxes on their own. Their leaders can’t turn back the tide any more than King Canute could. The American people can see the unraveling of the Democratic Party themselves. They don’t need any help from a camera-seeking Republican to see the truth. Like the Hatfield-McCoy feud, hardly anyone knows why the Duke-Carolina rivalry got so hot and contentious in the first place. Over 50% of the people who live in North Carolina were not born here. To many of them, the vituperative nature of the rivalry must seem confusing and odd given the stature of both universities as great institutions of research, medicine and higher education. Memories of Gerald Henderson’s elbow breaking Tyler Hansbrough’s nose makes Tar Heel fans fume about Duke’s dirty players. Photos of Eric Montross shooting free throws with blood running down his face incite Carolina fans to swear Duke’s mascot really is Lucifer dressed in blue. Walter Davis’ 35-foot bank shot to tie the game in 1974 after being down 8 with 17 seconds to play makes Duke fans visibly collapse at its memory. Say “Austin Rivers” and Tar Heel fans shudder remembering his 3-point rainbow to win by 1 for Duke at the buzzer. Old-timers point to the 10-minute brawl between Duke’s Art Heyman and Carolina’s Larry Brown in 1961 that spilled into the stands at Duke as the start of the red-hot rivalry. Heyman was supposed to follow fellow Long Islander Brown to Carolina but didn’t and bad blood boiled between the two players and schools for years to come. Why did the Duke-Carolina rivalry reach such a fever pitch? Competition gets heated between any rival teams. What made Duke-Carolina go nuclear? According to personal accounts of protagonists at the time, the real reason started when a slick New York Catholic coach, Frank McGuire, came to Chapel Hill in 1952 and brought a slew of great Catholic and Jewish basketball players with him from New York City. Football was still king in the South in the 1950s. Duke and Carolina football players would have a few beers after games in a collegial manner and swap tall tales for hours on end. There was a common admiration and friendship, not hatred and disdain. Frank McGuire shook up the gentlemanly nature of the athletic community in North Carolina and the ACC. He sported slick pomaded hair, wore expensive tailored suits and talked in a brusque, clipped New Yawk accent that irritated every Southerner who heard it. Duke fans hated him. So did fans of every other ACC team. To make matters worse, for Duke fans especially, McGuire brought a national title to Chapel Hill in 1957 with an undefeated team no less. Soon there was talk about “recruiting irregularities” under Coach McGuire which caused even the UNC administration to become more than slightly “uncomfortable” with the Tar Heel coach. When Duke Athletic Director Eddie Cameron went public with his concerns about McGuire’s recruiting tactics, Coach McGuire held a press conference specifically to call Cameron a “prick” for questioning his integrity. All hell broke loose in the Duke athletic department. 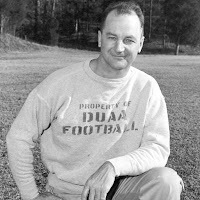 Duke Football Coach Bill Murray, renowned for his vice-like handshakes, swore he would kill McGuire for insulting his friend Eddie Cameron and got into his car heading to Chapel Hill to do just that. Somehow an assistant coach cut him off in a chase car before Murray got to Chapel Hill to commit capital murder with his bare hands and disaster was averted. Seething anger became deep-set in the Duke football program under Murray and emotions and fistfights spilled out on the gridiron often during the annual year-end Duke-Carolina games. But it was on the basketball court in hot, steamy Duke Indoor Stadium and Carmichael Auditorium where the Duke-Carolina rivalry became molten steel-hot and still is to this day. Having national title caliber talent, teams and coaches battle each other for the past 60 years has only added to the rivalry every winter.